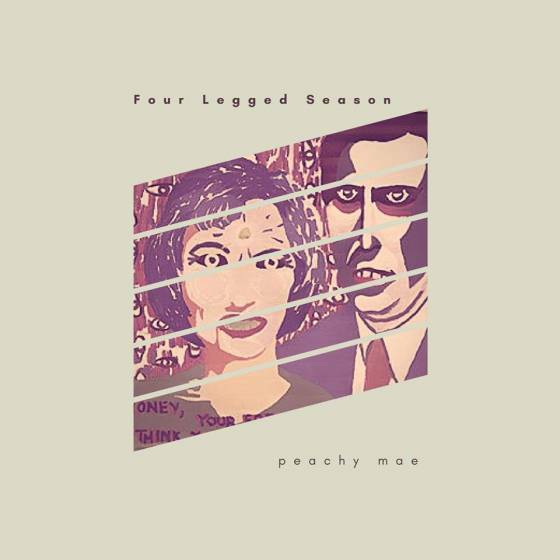 Peachy Mae is a collection of sweet and creepy sounds out of Murray Ky. Yes I also am an Organic Gardening Consultant and Natural Tree Arborist but I also write my own music. All have special "Healing Tones". For best results use headphones. 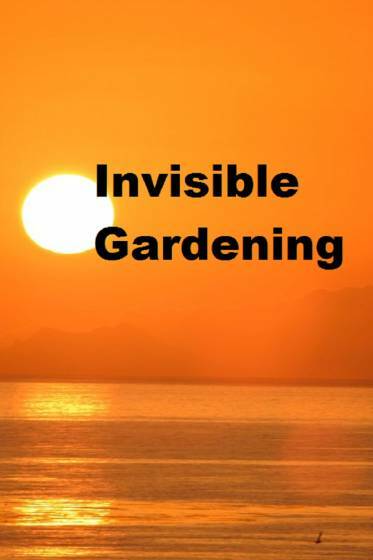 The Invisible Gardener writes music with vibrational tones that work on various parts of the body and brain. KB Radio's All New Top 10 indie song chart. 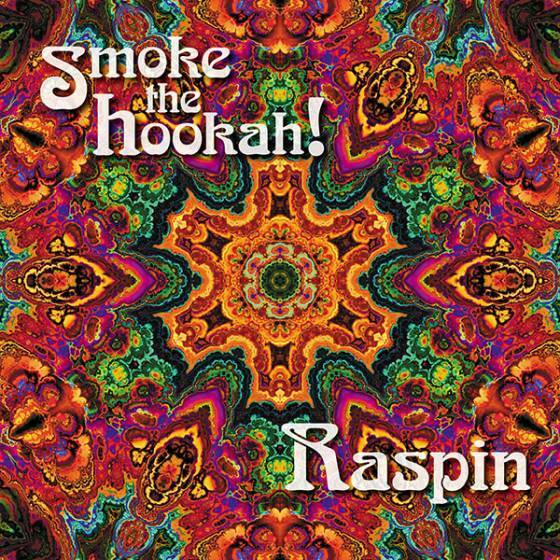 Raspin Stuwart @raspinstuwart Smoke The Hookah #1 This Week! 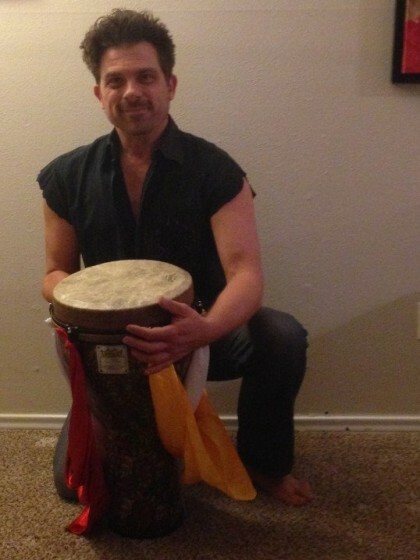 Ryan’s unique spiritual and rhythmic healing techniques has touched the lives of many around the world. His experience covers a fifteen year span in the study of numerous sacred rhythms which invoke healing energy in each one of us to come to the surface, as well as rhythms that have been used for centuries to call upon the healing energies of the universe and the Divine. Once you get into a groove with Ryan, your perception and outlook will surely change for the positive. “Thought manifests reality”. Ryan will show you how to gradually reconstruct your thought process about everything in your world, growing the positive healing in your life, connecting you to your inner purpose, community and the Divine within and without. Ryan Taylor, known as the "Spirit Drummer", is a multi-faceted percussionist, sound healer, presenter and motivational consultant using the power of drumming as the main tool for his passion and work. DJ Zevzek is set to release the “Dis Duzzit CD! Europe’s famous Disc Jockey (DJ) spinner known as DJ Zevzek has released his very own full length album, “Dis Duzzit.” The full-length album is filled with fourteen (14) original sound recordings and musical works of almost an hour and a half worth of constant grooves, making for a extensive mix of electronic and house material. It is being released with Rewired Records. The album is entitled, “Dis Duzzit” and the album name is also a song named on the jazzy and groovy full length CD, and it is representative of one of the better types of traditional beats on a long form CD that has been released in a very long time. DJ Zevzek is a European who's parents had fled the one time communist ruled Romania and he was eventually allowed to follow them which is where he learned to spin, mix and DJ. Referred to as a so called perfectionist DJ and 'spinner' “DJ Zevzek,” has been a quintessential house-music DJ since the very inception of the overall sound ad genre. “I, myself, have been influenced by some of the most innovative DJs from all over the world,” he (DJ Zevzek) says, his “influences are” wide and obscure calling on the likes of “Couleur 3 and Dr.Silk Sal, ” to help build on his grooving and colorful style. This overall style was also built while using SL1200 turntables, a Korg Polisix and a TR606 drum box on the four track recorder he had used since he started spinning professionally in his career. But today, he is considered to be a modern styled DJ during live performances. His brand new CD (Dis Duzzit) is a high-quality and driving album that is pristine sounding from the first song to last song ('Hyperdiamonds') that is also the first single being released around the world. This collection is a work of art that is perfect for fans of DJ work and house music. The new release, “Dis Duzzit,” showcases the DJ's influences bringing the beats and sounds together from albums and songs he grew up playing and listening to for a long time. On the new CD being released at Rewired (Records), is a touch of the old school coupled with the new and modern day sounds that are seamlessly blended. The brand new CD is a fresh batch of songs influenced by an old tradition, by mixing in his own influences making up this brand-new, 2015 release. His career as a DJ began while listening to 'pirate radio' on the French border and he (DJ Zevzek) says that the those sounds were “very funky electronic cuts” such as songs like 'Back to Mono' and while listening to the Dr. Silk Sal's radio program on pirate radio, led him showing up to visit him (Dr. Silk Sal) at the station and at his Petit Saconnex penthouse apartment which is where he discovered the SL1200 turntables that he says had “custom arms and styluses.” Dr. Silk Sal allowed the young DJ to scratch, mix, cut, drop tracks which soon gave him (DJ Zevzek) this musical and rhythm sound and in no time at all, the new DJ started making remixes of popular club songs using a capella, dub and instrumental versions. Soon after that, he (DJ Zevzek) started playing out live at places like Club 58 becoming their resident DJ. He then toured around the world playing everywhere in Europe and in major cities like Vancouver doing raves and after hours clubs while also producing and mixing original dance tracks for all out Roland jams along with live scratching and dubbing at the jam sessions and all nighters. “Dis Duzzit” by DJ Zevzek is available to stream online worldwide today, and the downloads and physical CD is available in stores that sell music on March 31st. Anyone can listen now and all fans of beats and dance music will be able to get the full length CD soon. Dreamdoktor to release its avante-garde sounds with Rewired Records! There’s some serious method to the madness of this new record from Dreamdoktor, now being released with the Rewired Records record label. The prolific electronic artist has spent years constructing musical compositions, which evokes a soothing and ambient sound that is very much avante-garde showing off elements that are flowing, tonal, intense and magical in all of its songs. Dreamdoktor has applied the same approach it has done anytime they produce spontaneous and overly compelling musical works. Husband-and-wife tandem Dan and Cristina Handrabur make up what is Weed! The latest release from Weed contains many nuggets of musical works with ambient singer Cristina Handrabur that lends her beautifully distinctive vocals to songs on 'Visionary Sessions'. Both (Dan and Cristina Handrabur) were both born in Bucharest Romania before each moved to live in Geneva. Dan began playing violin and is classically trained musically while garnering a scholarship to study at the Conservatoire de Geneve at the young age of sixteen (16) years old. Cristina began singing also at an early age in her teens with credits on many albums and placements of her music on many soundtrack CD's. As Weed, they blend ambiance, psychedelia, trip-hop and electronica elements into their own unique musical blend and top it with Dan's great playing styles and with Cristina’s distinctive vocals. Oddly, Weed have been flying under the radar when it comes to music in mainstream world. People are now fast becoming more familiar with this act, and especially those listeners that are fans of Morcheeba, Lemon Jelly, The Cinematic Orchestra and Jazzanova. Fans of triphop in general and electronica music band will love this new album entitled 'Visionary Sessions.' This latest release does sound like an old formula in a modern era, and those that love music with a modern and sophisticated lounge feel to it, this is an album for you. Earning a set of Technics DJ'ing at the landmark Club 58, Weed adapted the use of a Korg synthesizer and a Roland beat box. The new reality of composing and producing electronic music along with adding Cristina's soothing vocals, make up quintessential Weed. That overall sound is something that automatically makes the entire album accessible to all listeners. The combination of Dan's playing and Cristina's vocals makes them sound like they did the day they met to collaborate as one. The dreamy vocals and trip hop sound is what carries the band. And, the ability to produce sophisticated beats with flashy chords is what makes that cutting edge overall sound. There is no doubt that we will hear certain songs be used on TV montages and in advertisements, and the band has already been placed in at least four Soundtrack (Suddenly Naked, Guilty, Free Enterprise & Bruiser) CD's to date. Drawn together by similar tastes in music and artwork, Dan and Cristina fell in love literally, and musically. After Dan moved with his family to Toronto, Canada (shortly after his graduation), a year later, Cristina joined him, and they married each other while they also they collaborated on music in Weed. Having relocated to Canada, they both quickly became known among a new electronic music community and have had great successes in large American cities like Detroit and throughout the entire United Kingdom. Their overall ambient sound is actually described as being more than the Industrial sounds any major populated city is more associated with today.